This "down under" themed fabric is such a cute choice for your next baby quilt! 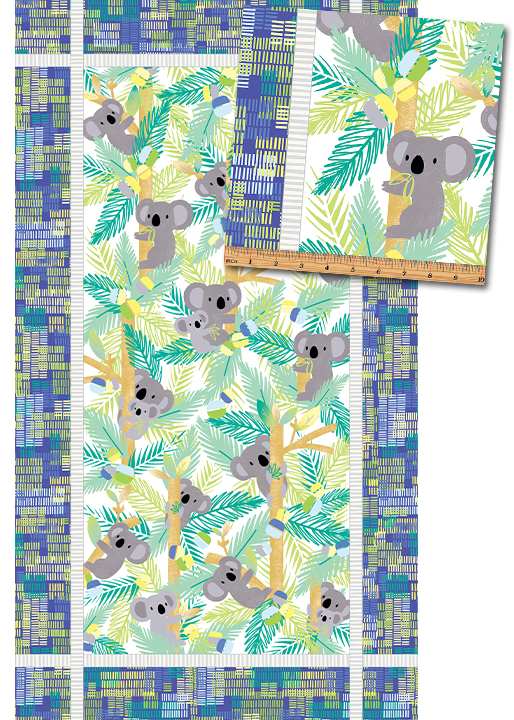 Sweet koala mommas and babies snuggle in the main print (also featured in a panel! ), with plenty of cool coordinates. 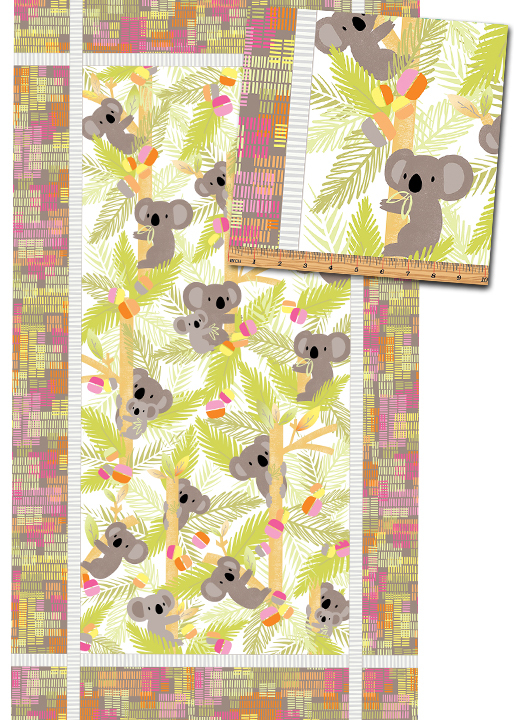 In fact, the coordinates would make a cute quilt all by themselves! 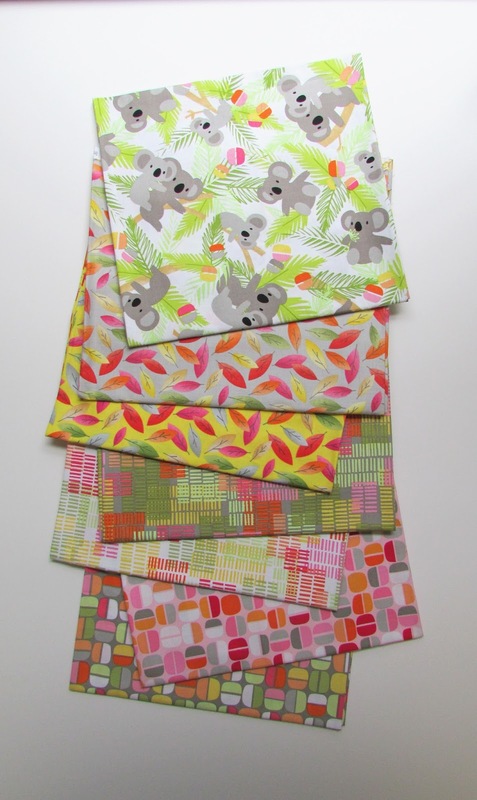 Fabrics available in a pink, orange, yellow and taupe colorway and a lime, light blue and periwinkle colorway. 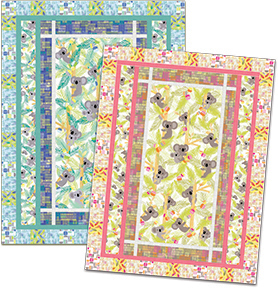 Click here to see the entire Koala Baby collection. This collection comes in flannel as well! 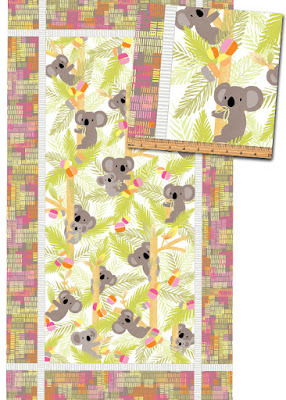 Love these fabrics, so cute! Such lovely selections to chose from. 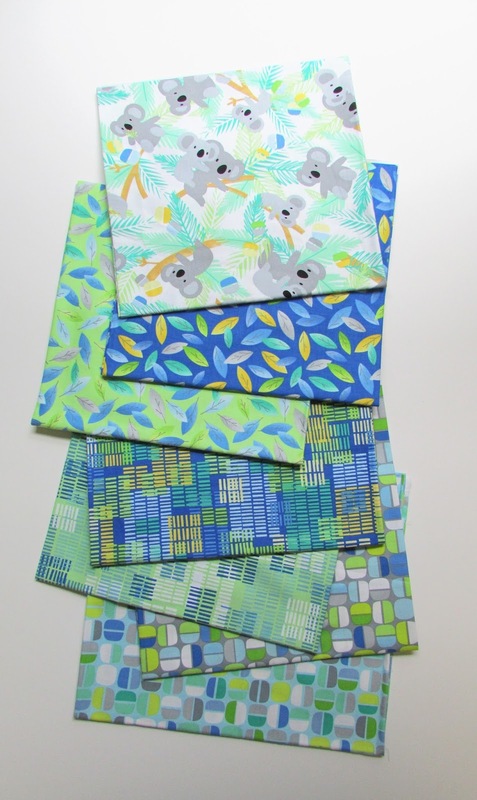 Thank you for sharing this wonderful fabric line! Oh this is just too cute!! Darling fabrics and I like that they have a flannel too. I felt like ending it i lost my husband to another woman 2 weeks ago after 27 years of marriage. We had a lovely marriage but he started a relationship with a co worker who chased after him. He is living away near his work, and he refuses to talk to me or to come home . I am devastated and am finding it hard to cope i was emotionally down . I wish I did not love him and that I could move on but I can't . I don't know how to stop feeling like this I wish I could and its eating me away and I'm starting to feel ill. I have degraded myself begging him to come home all to no avail. I became very worried and needed help. As I was browsing through the internet one day, I came across a website that suggested that Dr Ogudugu can help solve marital problems, restore broken relationships and I also came across several testimonies about this particular man so on. So, I felt I should give him a try. I contacted him and he did a spell for me. 24 hours later, my husband came to me and apologized for the wrongs he did and promise never to do it again. Ever since then, everything has returned back to normal. I and my family are living together happily again.. All thanks to Dr Ogudugu . If you need a spell caster that can cast a spell that truly works, I suggest you contact him. He will not disappoint you. if you have any problem contact him, I give you 100% guarantee that he will help you, This is his details, E-mail: GREATOGUDUGU@GMAIL.COM. 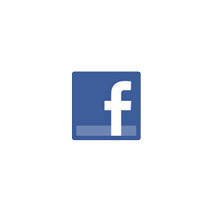 Thank you all for reading. Quiz: What do these two quilts have in common?